It’s been a long time since I made homemade bread that wasn’t made in a bread machine. It seems to take forEVER, and there is too much waiting time involved. I’m impatient and busy. I’m not very good at waiting, and some days I just can’t afford to be unproductive. I remember the smell of the house during my childhood when Mom would make dinner rolls. It was so tantalizing it made my stomach growl! When I saw Kelli’s post for Honey Oatmeal Bread on her blog Can Cook, Will Travel, I could just imagine the wonderful smells that would fill my house. Baking bread requires time and attention, which is one of the reasons I don’t make it often. It’s not like popping something in the crock pot and turning it on or putting brownies in the oven for 25 minutes. Bread is a commitment. It’s a hurry-up-and-wait project that requires you to be available when the bread calls. I'm the Queen of Everything in my kitchen! Christmas morning I planned to be home, and it would be a guilt-free day if I didn’t get anything done, so what better time to bake bread? 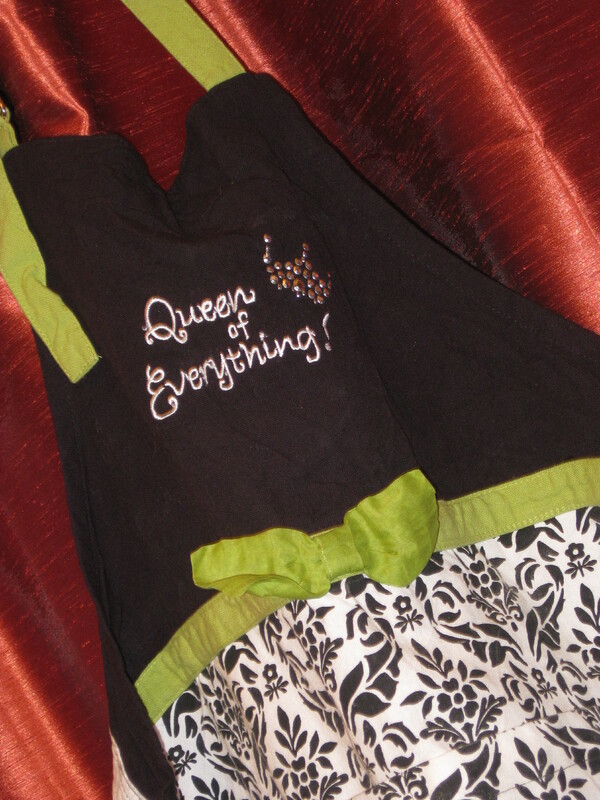 I put on my “Queen of Everything” apron and got started! (Click for recipe.) Kelli’s got the baking step-by-step covered on her blog. Below is how MY step-by-step went! It’s true, baking bread is time consuming; it takes 3 – 4 hours. But as I discovered, with a little focus and coordination those can be very productive hours. And the payoff? Besides the workout and small tasks I completed during the waiting period? 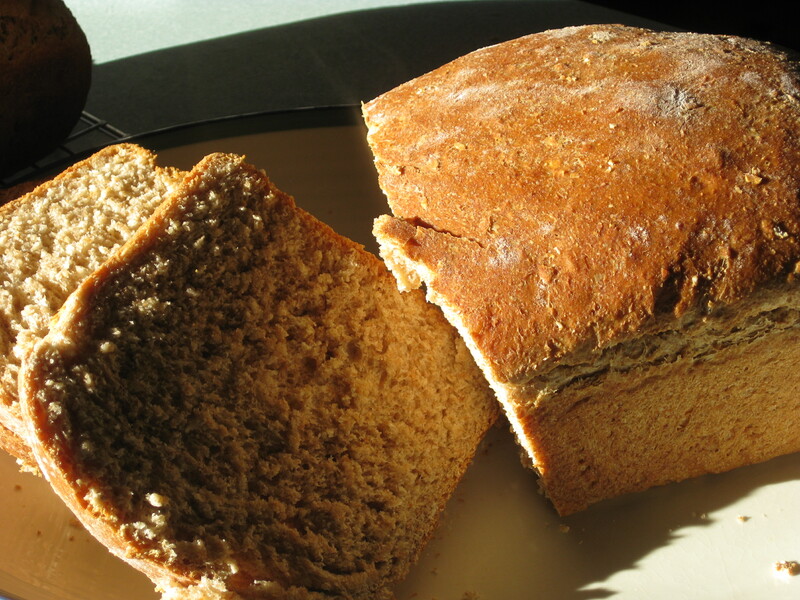 Two loaves of slightly sweet oatmeal bread with a dense texture and a makes-you-drool smell! You can’t get bread like this in the bakery unless you get it straight out of the oven, and how often does that happen? Slice into a warm loaf, slather on a little butter and savor the goodness. If you have leftovers, slice it up in the morning for toast or dip it in a cinnamon egg mixture for a hearty French toast. Top with fresh fruit, and you have a delicious (and healthy) start to your day! Steam rises from a freshly baked loaf.